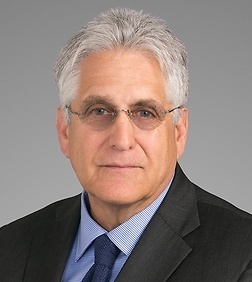 Mark S. Ross is a Special Counsel in the Labor and Employment Practice Group in the firm's San Francisco Office. Mr. Ross is a seasoned management side labor lawyer who began his career as a trial lawyer with the National Labor Relations Board’s Region 21. He left the NLRB and entered private practice in 1975. Mr. Ross has handled hundreds of labor-management matters before the NLRB and in federal and state courts. He has also successfully argued cases before the United States Supreme Court and in circuit courts of appeal. He advises employers on all aspects of labor-management relations law, including NLRA compliance, union organizing, contract negotiations, arbitrations, and injunctions. He also trains management on NLRA compliance and effective employer-employee communications. Mr. Ross also advises employers in corporate campaigns, corporate transactions, and bankruptcies. Mr. Ross has also served as an Adjunct Faculty member at the University of San Francisco. "NLRB May Have the Last Word on 'AT&T'"
"Going Over the Top at Disneyland: Sleazy Union Tactics in 'The Happiest Place on Earth'"
"EFCA, Schmefca: The Obama Board Won't Wait for Legislation to Change Labor Law"